1. I took my very FINAL final–as in no more finals EVER–on Wednesday night. Hello, MBA:) I cannot believe that after 9.5 years of post-secondary education, I am finally done with school. While I really enjoyed my MBA classes, I’m excited to have time to focus on my family. Chauncey has gotten Kane to sleep most nights lately, and it was really nice to be able to do that myself last night. 2. 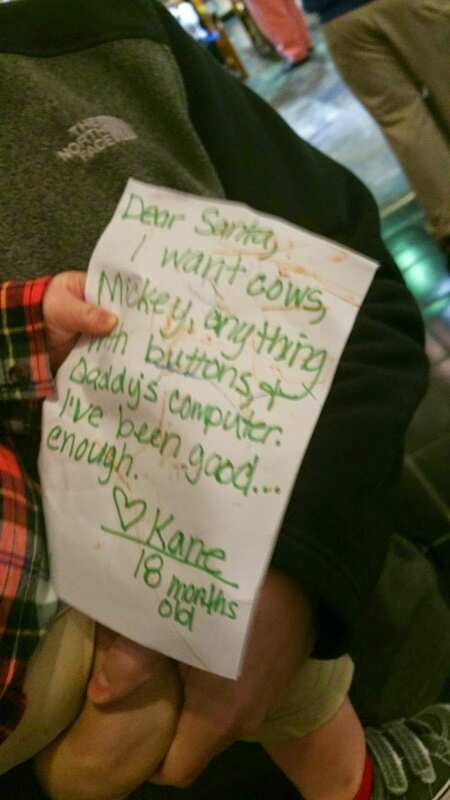 Speaking of Kane, we took him to see Santa at Lexington Green on Sunday. I’m doing a post next week on our experience, but I just want to say that it was hilarious! Here’s a peek at his list for Santa. 3. 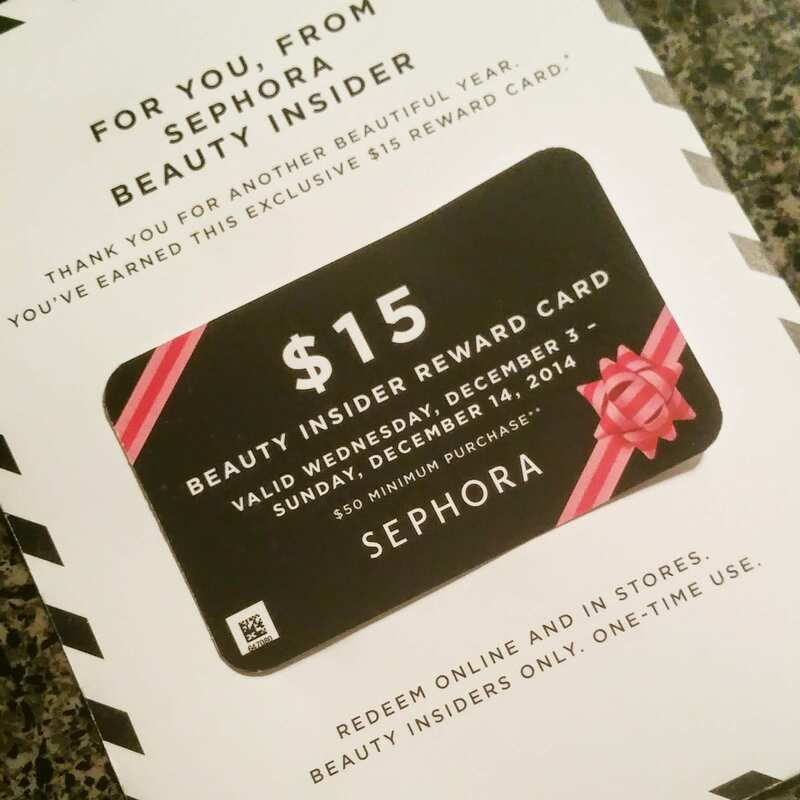 As I mentioned on Instagram, I recently received my $15 Beauty Insider Reward Card from Sephora. I look forward to this every year, and took some time on Sunday to go redeem it. I ended up with some new foundation and some blender sponge things. I always use this card as an opportunity to try new things. 4. I have had three good nights of sleep in a roll! Kane has been waking up in the middle of the night for a while now, but he hasn’t the past three nights. Now, I’ve probably just jinxed it, but it had to be on my #H54F list. 5. Last Friday, I wore one of my favorite new shirts. I’m loving the embroidered exclamation point, because I feel like it fits my personality to a tee. I’m really looking forward to getting back into doing my #ootd posts on Instagram now that I’ll have time, so be sure to follow along. Congrats on completing your MBA! What a huge accomplishment! 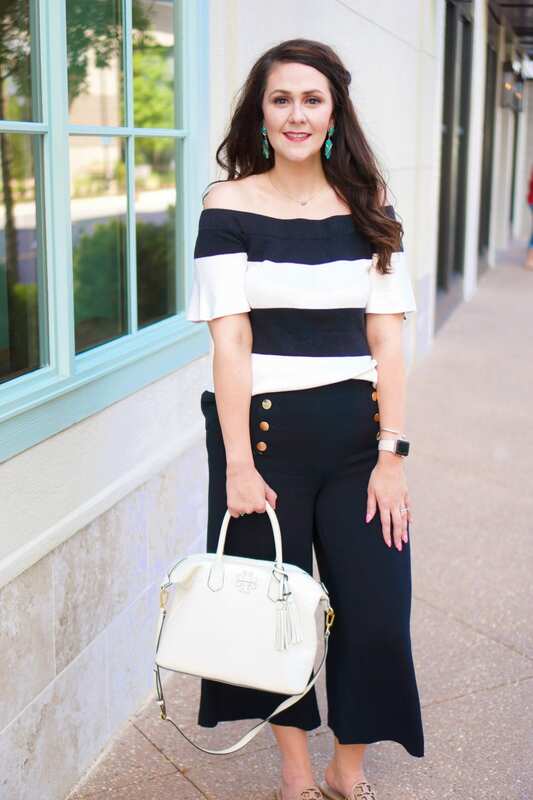 Love your last photo with your favorite outfit! It's super cute! That list is amazing! Soooooooo cute! Can't wait to hear the whole story! 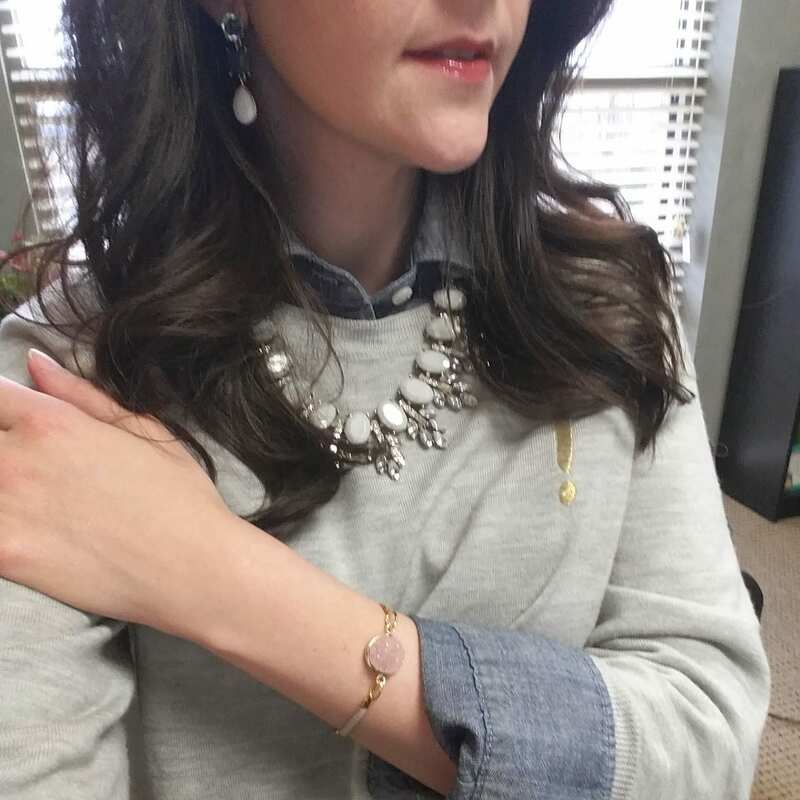 love your outfit, the shirt with the necklace is gorgeous together! Congratulations on completing your MBA, lady! That is AWESOME! Enjoy a fun and relaxing weekend :). Yay for better sleep. Hope it's continuing! My final exam is Tuesday (I still have my thesis due but the exam is the final one!!!). Yay you and get some rest! !